The Battle of Chosin Reservoir was a brutal 17-day battle of the Korean War, fought over the roughest terrain under the harshest winter weather conditions of the war. Allied troops were encircled and attacked by enemy forces but were able to break out and inflict crippling losses on the enemy. A cold front from Siberia had descended over the Chosin Reservoir and the temperature plunged to as low as −35 °F. The freezing weather resulted in frostbite casualties, icy roads, and numerous weapon malfunctions. Medical supplies froze, morphine syringes had to be defrosted in a medic's mouth before they could be injected, and frozen blood plasma was useless on the battlefield. Cutting off clothing to deal with a wound risked gangrene and frostbite. Batteries for the vehicles and radios did not function in the freezing weather and quickly ran down. The lubrication in the guns gelled and rendered them useless in battle. Firing pin springs and operating rods froze and jammed. Refer to the Wikipedia page https://en.wikipedia.org/wiki/Battle_of_Chosin_Reservoir for details on the battle and the heroism and hardships of “The Chosin Few”. Although we won’t get anywhere close to the miserable conditions they experienced during the battle, this match honors their service and sacrifice. There was a bitter chill in the air and dull gray clouds hung low in the sky threatening imminent snow...highly appropriate conditions for the fourth annual Sanner’s Lake “Frozen Chosin” match! 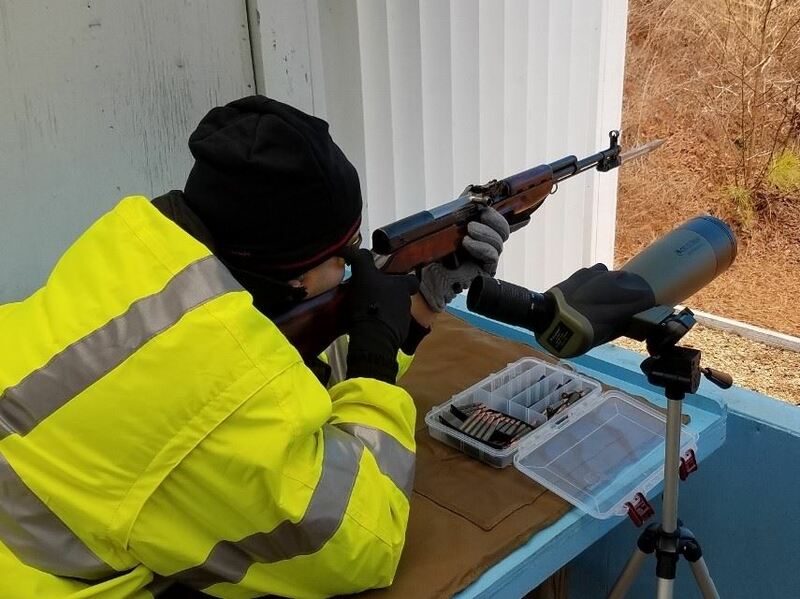 A record turnout of 18 shooters shrugged off the forecast and brought their rifles and carbines to bear in the frosty dawn to honor the service of those who fought in the “police action” that was the Korean War. Once again the majority of rifles on the line were M1 Carbines (eight) followed closely by M1 Garands (seven). There was also an old warhorse Springfield M1903A3, a Thompson 1927A1 “Trench Broom”, a Lee-Enfield No. 5 Mk I “Jungle Carbine”, and even an enemy SKS to round out the diverse variety of classic historical firearms. 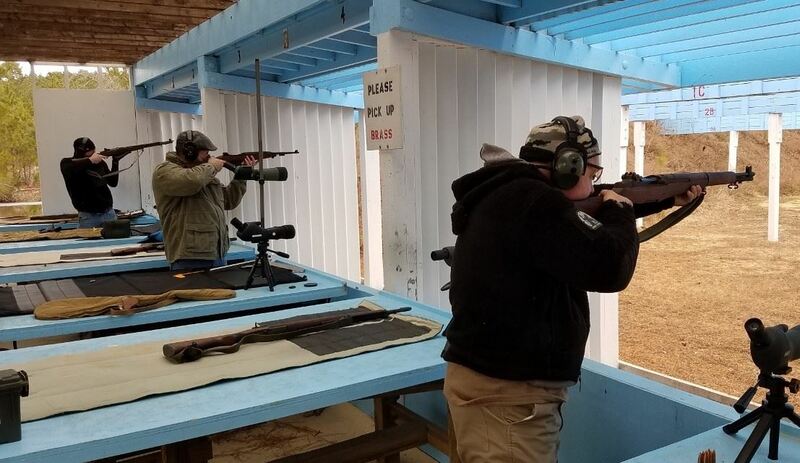 The old warhorses performed well and the shooters did their part to keep them slinging lead downrange and on target. 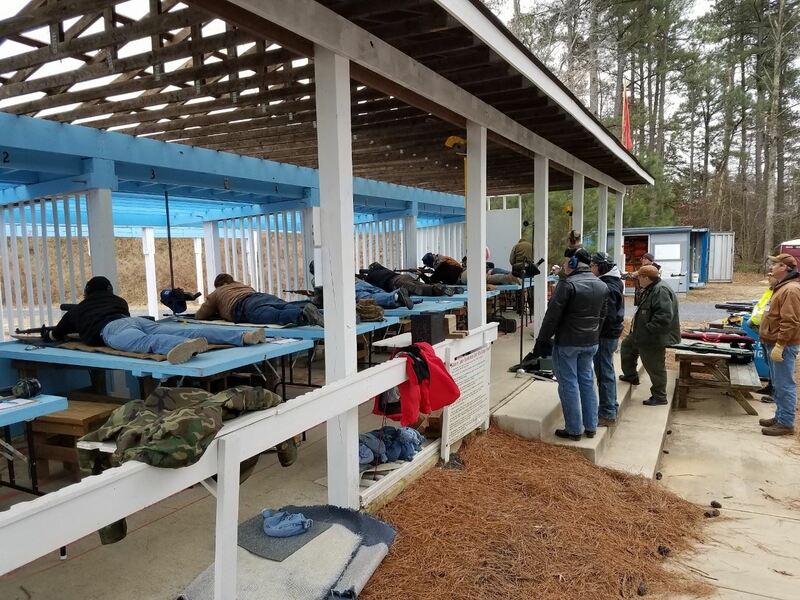 A few stoppages here and there were quickly overcome with applied field maintenance as competitors leaped into the fray to help out and keep the action going in the finest tradition of shooting camaraderie. When the smoke finally cleared and the scores tallied it was Paul Stephens and his Garand taking the top spot with a match record 272-3X. 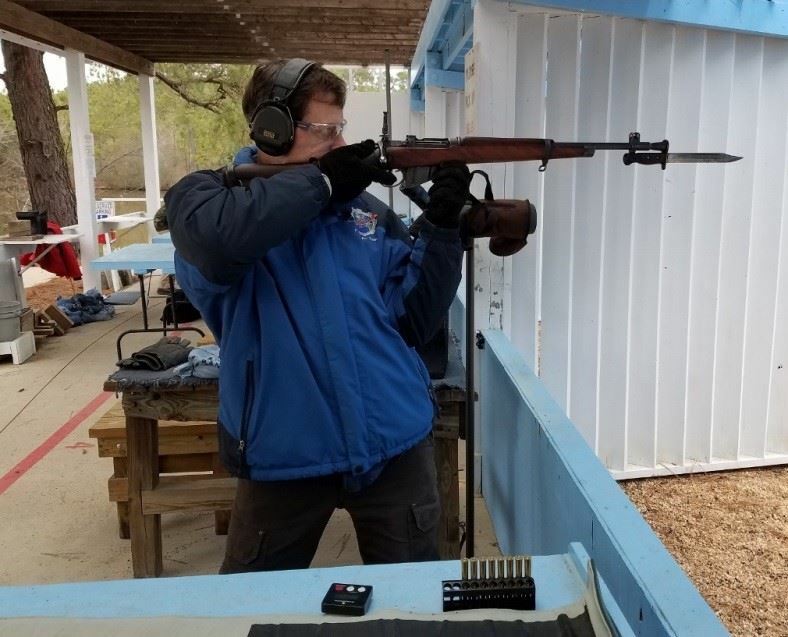 Right behind him was Ed Thompson and his M1 Carbine also setting a record high Carbine score with a stellar 268-2X. Finishing up the top three was Dayne Pogue with a terrific 255-0X after re-entering on the third relay and moving up an astonishing 17 places! See the match report for all the details and scores. 30 round match shot at 100 yards using a standard NRA SR-1 target. Ten shots prone slow fire, ten shots prone rapid fire, and ten shots standing slow fire following NRA high power rifle rules. 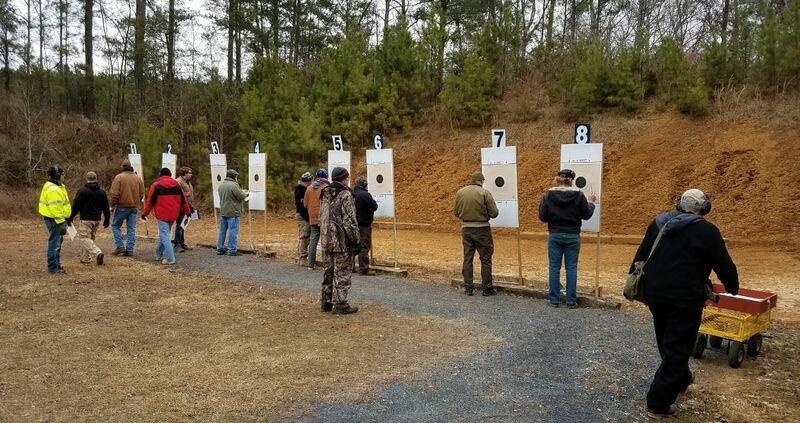 Ten minute sighting-in period prior to shooting for score. 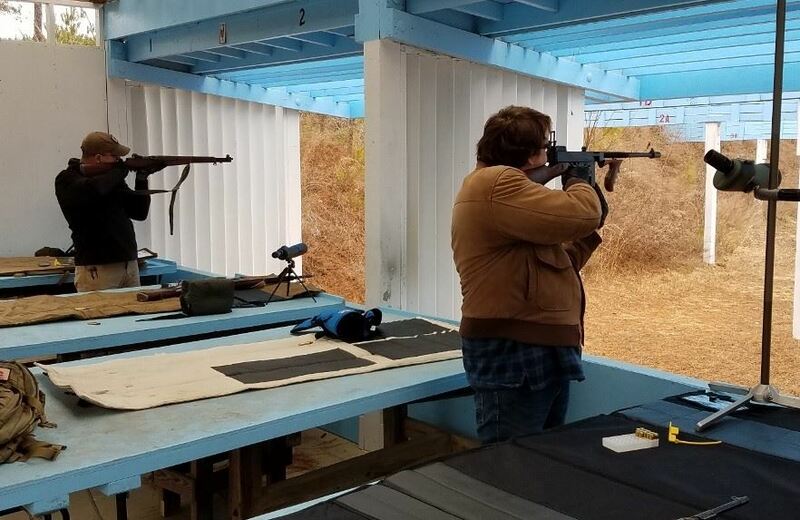 M1 Carbines are the focus of the match, but any centerfire rifle or carbine used in service during the Korean conflict is acceptable. Refer to the Korean War Weapons Wikipedia page for details. If it’s on the list and legal for use at SLSC, bring it! Rifle must be configured as it was used in service, i.e. no sporter modifications, aftermarket precision sights, bedded stocks, etc. are allowed. Modern replicas (e.g. 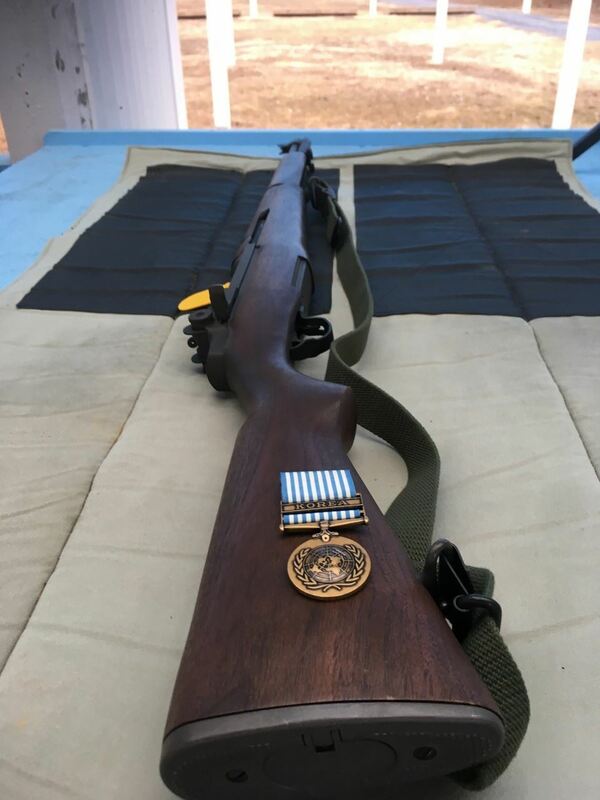 James River M1 Carbine) or semi-automatic variants (e.g. Auto-Ordnance Thompson, Ohio Ordnance Works BAR) are acceptable. No mounted optics or bipods. Shooting mats and slings are acceptable. Attire should be appropriate to the weather (period correct preferred!). No custom shooting jackets or specialized gloves. Open to the public. Non-members contact match director for gate access. Once a year in February targeting the coldest day possible. The colder the better. 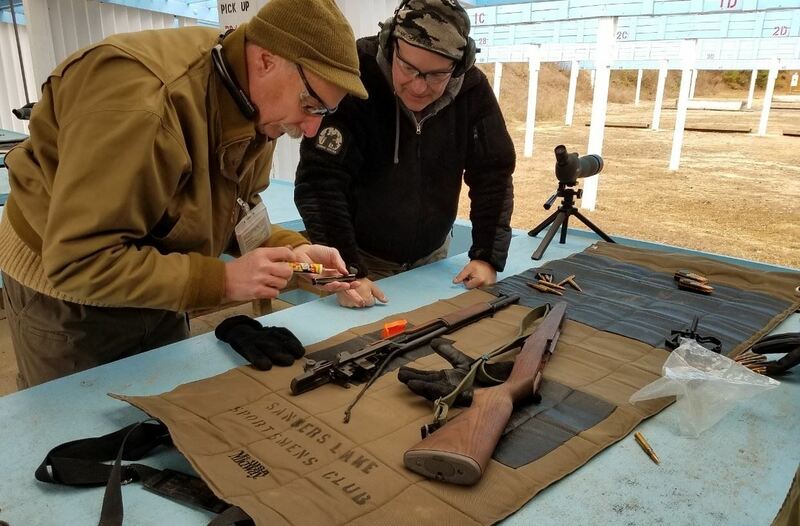 Rifle and equipment should be properly cold soaked on the line prior to shooting. Only historically accurate methods may be used to unstick frozen equipment! None. Match director may handicap shooters displaying excessive youth and vitality. Rifle type and caliber will be listed in match results. The more interesting and unique, the better! NRA SR-1 targets at 100 yards. Prone rapid fire: 10 rounds fired in two 5 round strings, 30 seconds per string. Loading and reloading will be off the clock. Shooters ranked by highest combined score. Ties broken by X's, then by highest individual string, then by fewest hits of lowest value.